This isn’t just any wings and burgers joint along the highway. When you walk in to Willy's restaurant lounge, the bar welcomes you with an ice strip for your beer while the staff makes you feel like you’ve been hanging out here for years. The environment here is both wonderfully wild and laid back with a stage for local live bands that rock accompanied by a dance floor so you can boogie! The restaurant's kitchen staff has a strong liking for hearty food that tastes good, bringing you diverse flavors and ingredients. The irresistible food and different games available in the lounge, along with 15 different beers on tap and over 50 types of bottled beer are guaranteed to bring you back for more! 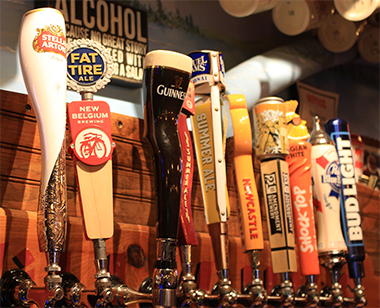 Try one of our restaurant's 29 different sauces. 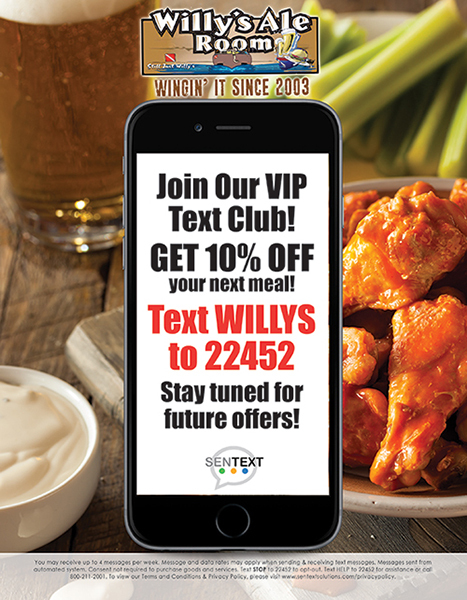 We have everything from a mild and sweet chicken wing, to our Legendary Hot Wings. Call us whatever you want! 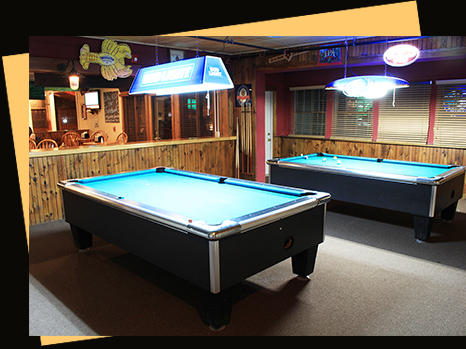 With two bars, four separate dining areas, Pool tables, Buck Hunter and the sports game of the night available on our wide range of big TVs, Willy’s Ale Room is a great place to hang out with both friends and family!